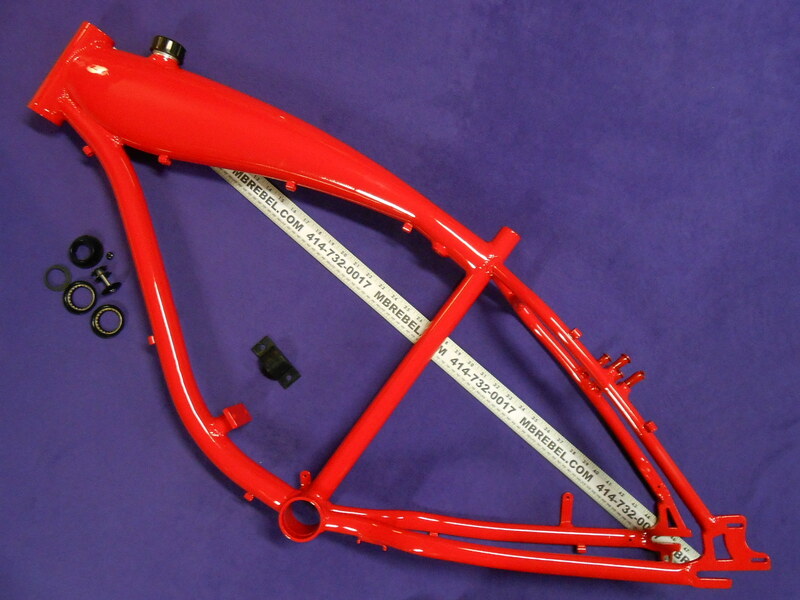 Designing and fabricating parts in the U.S.A.
Empowering you and your bike! 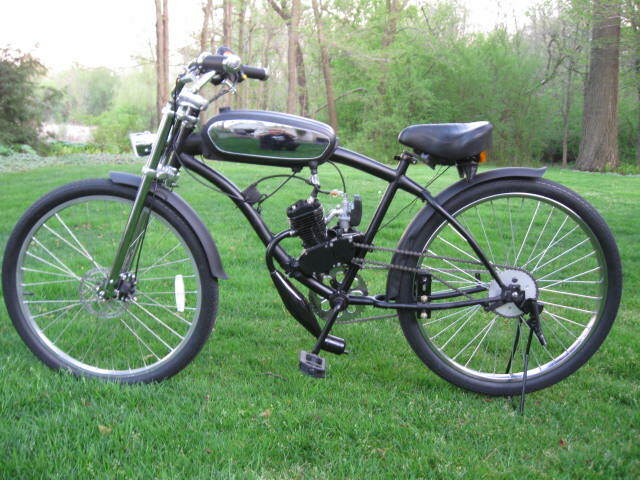 Due to high gas prices in fall of 2007 I started to make motorized bicycles. 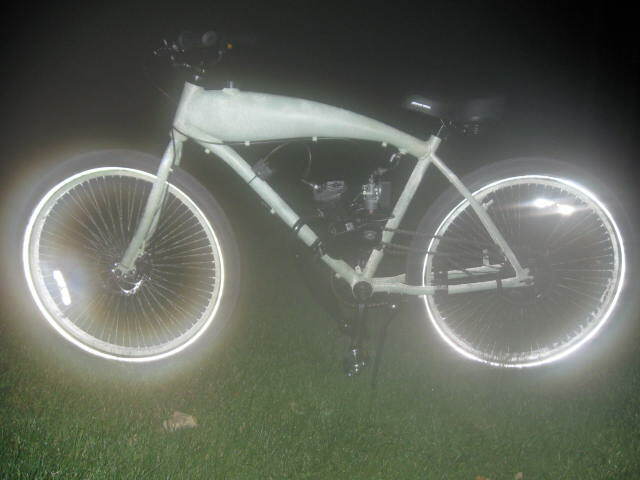 A basic motored assisted bicycle complete and ready to ride is $950.00 much more practical than a moped and with more functions, you can chose to pedal or not, on the fly! I have always enjoyed the past time of repairing and maintaining my bike, so I made my own scooter bike. Motorized Bicycles get 120+ miles to the gallon and go 30 miles per hour, legal to ride on the street with no special license, plate, or registration. 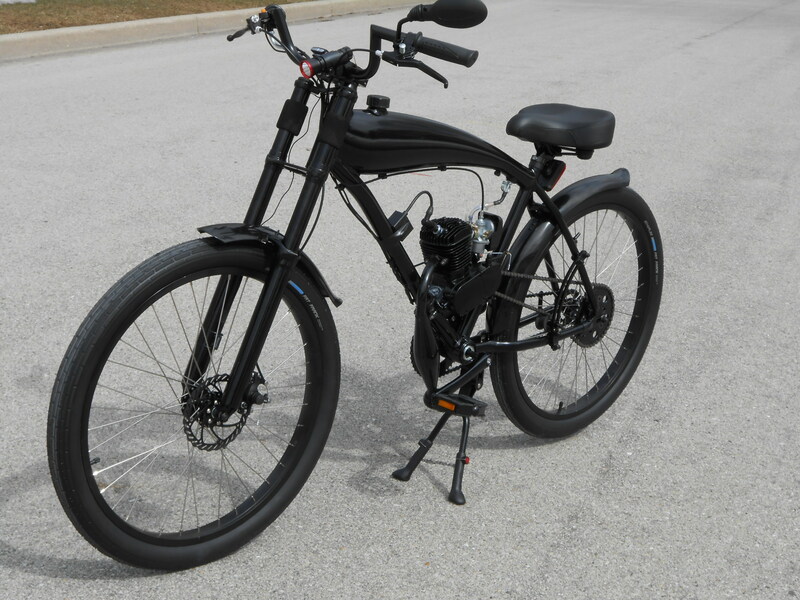 The 2 cycle motor adds only 19lbs to the weight of the bike, smaller than a moped, 60LBS total weight and more compact for easy parking and commuting. 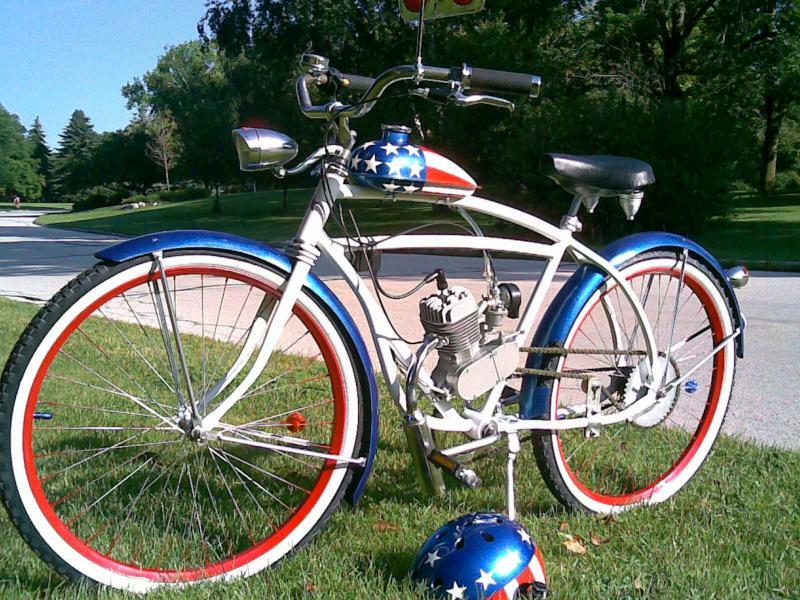 The bikes can be pedaled at anytime as a normal bike. I hope you enjoy this sport as much as I do! 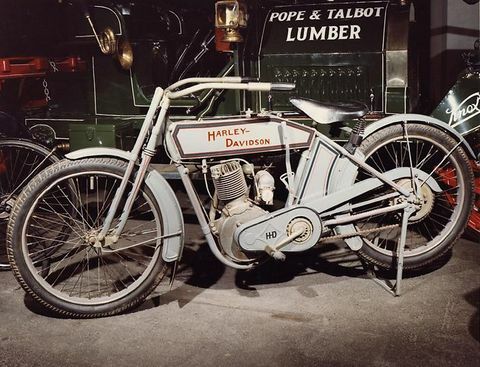 Harley and Davidson thought it would be easier if their bicycles had motors on them, from 1901 to about 1916 their motored bikes still had pedals. 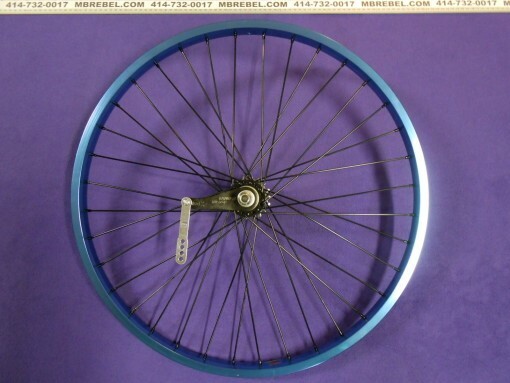 Have We come full circle? 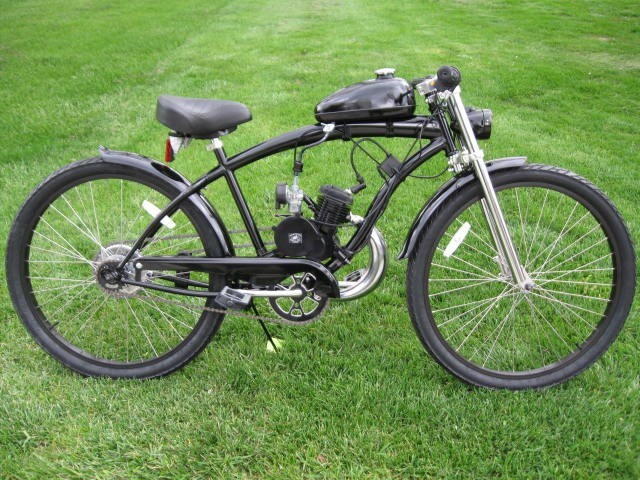 120+MPG and speeds up to 35+MPH you can pedal along with the motor or pedal just as a bicycle, or not pedal at all! The 2 cycle motor adds only 18LBS to the weight of the bike, smaller than a moped, more versatile, easy parking and commuting! Mechanically simple for less maintenance. The bike has a twist throttle on the right grip and a clutch on the left that you release slowly to start. 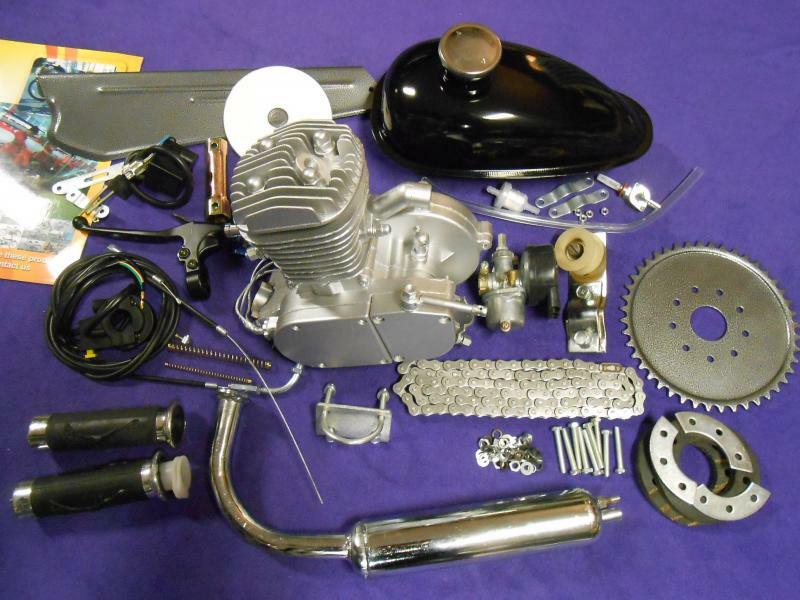 Parts and motor are available for you to do it yourself for $220.00 with local installation assistance. 1901 William S. Harley, age 21, completes a blueprint drawing of an engine designed to fit into bicycle.